Fox McCloud and company are back in 3D glory with Star Fox for the Nintendo 3DS. Unlike Luigi’s Mansion 2, I really wanted to play Star Fox because of how much I enjoyed the Nintendo 64 version. The 3DS version feels even better than before. First off, the graphics look amazing and I feel that the 3D works great for flying type games. Others don’t share the same feelings. The person in front of me actually turned off the 3D graphics, WTF? Anyway, the game was fluid, smooth and engaging. This was also the first game I extensively used the gyro-motion controls that the 3DS has. Flying my ship worked so well with the gyro-motion, I never used the joystick to move, not once. It felt more authentic and immersive using the gyro-motion controls. Unfortunately, the only problem I had with Star Fox was the fact my play session had ended. 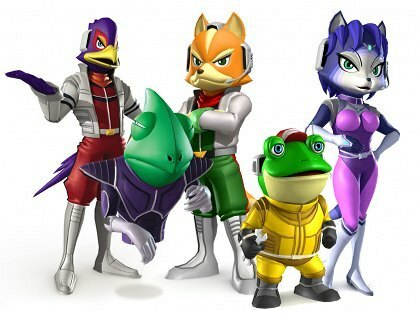 I’m definitely looking forward to reliving my childhood memories with my pals Fox, Falco, Peppy and Slippy.